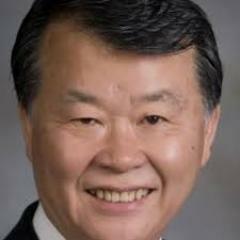 Dr. Seong K. Mun is the President and CEO of the Open Source EHR Record Alliance (OSEHRA). OSEHRA is a non-profit corporation that advances open source electronic health record software and related health information technology to offer the best possible products at the lowest possible costs mainly through OSEHRA corporate members who provide customization, installation, and training service to the users around the globe. OSEHRA's mission is "Build and support an open source community of users, developers, service providers, and researchers engaged in advancing electronic health record software and related health information technology." OSEHRA facilitates community-based open source software development, market stimulation and education for the OSEHRA members and greater open source community. It provides a powerful platform and infrastructure repository for software analysis, development, testing and distribution. Members of the OSEHRA community openly collaborate on a full range of planning, development, testing and deployment activities. In support of the community, OSEHRA offers Open Source Software Quality Certification and testing services to improve the quality and usability of submitted codes. Dr. Mun, is a consummate builder and explorer of new concepts. As a Professor of Radiology at Georgetown University until 2007, he pioneered work in teleradiology, PACS, telemedicine, e-health, global disease surveillance and open source surgical robotics. As a Georgetown Medical Center’s Associate Vice President, he provided oversight of the department’s congressional affairs for 12 years. Currently he is a tenured faculty member of the Virginia Tech Research Center, Arlington, VA, and is working on a sleep imaging study and the development of smart-phones for medics. Dr. Mun is a recipient of the General Max Thurman Award for Excellence in Military Medical Research for his contribution to military medicine.